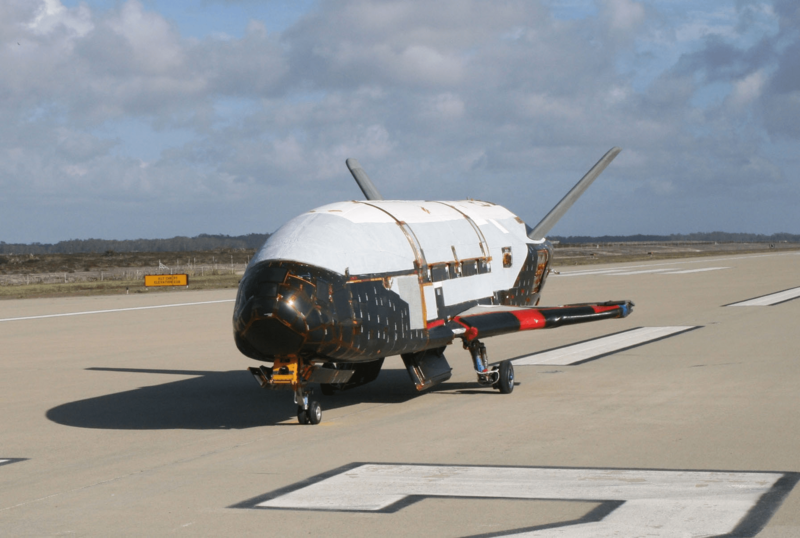 What is the mysterious X-37B space plane? Why was it in orbit for 22 months? NPR and others reported on the landing of the Air Force’s X-37B space plane earlier today after 22 months in orbit around the Earth. So what is the X-37B space plane and what is it for? Built at Boeing’s Phantom Works, the X-37B started life on drawing boards at NASA circa 1999, but the project was later transferred to the Air Force and first flew in April 2010. This is the third and longest-duration orbital mission. The Air Force has at least two such vehicles. The U.S. Air Force’s unmanned X-37B space plane has flown three clandestine missions to date, carrying secret payloads on long-duration flights in Earth orbit. The robotic vehicle resembles NASA’s famous space shuttle but is much smaller. The X-37B is about 29 feet (8.8 meters) long and 9.5 feet (2.9 m) tall, with a wingspan just less than 15 feet (4.6 m). At launch, it weighs 11,000 lbs. (4,990 kilograms). And what is the mysterious space plane for? The NPR article examines a number of theories presented by different outlets including space bomber, troop transport vehicle, anti-satellite weapon, and spy plane. More concrete news about the X-37B project can be found via NASA, who today announced a partnership with the Air Force X-37B project. NASA’s Kennedy Space Center in Florida has entered into an agreement with the U.S. Air Force’s X-37B Program for use of the center’s Orbiter Processing Facility (OPF) Bays 1 and 2 to process the X-37B Orbital Test Vehicle for launch. This agreement ensures the facilities will again be used for their originally-intended purpose — processing spacecraft.